It’s not over once the credits roll. Horizon Zero Dawn is quite the experience, but just because you beat it doesn’t mean that’s where the fun has to end. Here are things you can do after beating the game. This is all post game (or endgame) content that you’ll be able to embark upon after you beat the game and watch the ending. 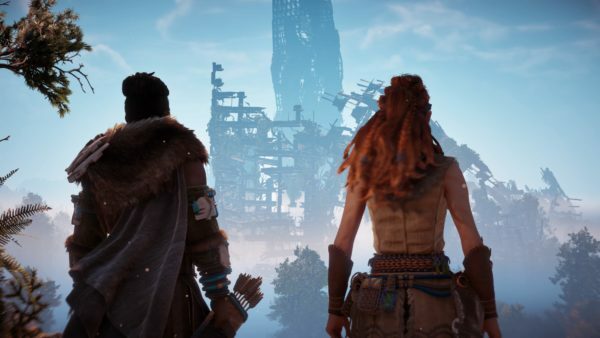 When Horizon Zero Dawn’s story is over and done with, you may be wondering what else there is to do in the game so you can keep on exploring this world. Don’t worry, we’ve highlighted five things you should do in the game once the credits have rolled. There are a ton of collectibles scattered around Horizon Zero Dawn’s world that will have you exploring its farthest corners. While datapoints will help you to flesh out the lore and provide additional context to what’s been going on in the main story, there’s also Banuk Figures, Metal Flowers, Vantage Points, and Ancient Vessels for you to find. While the idea of collectibles may not initially entice you to keep on playing, Horizon Zero Dawn’s collectibles are actually incredibly interesting. Banuk Figures tell a tragic tale through the glyphs that accompany them, Metal Flowers have cryptic poems, and Vantage Points give you a quick glimpse into the world of the Old Ones. Plus, if you love trophies, you’ll get a one for getting all of these collectibles. What other reason do you need?